I am generally speaking, not into Valentine’s Day, regardless of my relationship status and love for boxed chocolates. I’m definitely one of the usual suspects of people in this camp of thought. I don’t like the idea of having a designated day to put forth an effort for a relationship, it’s commercialized, it’s too materialistic at times, blah blah blah. While I don’t consider it or like to make it a romantic day, I do appreciate the sentiment and enjoy celebrating love. I’m talking about all sorts of love, whether it is the love for your partner, your family, your friends, your faith, your pets, or your life. I think a natural part of celebrating love is to reflect on it and take stock of how varied it can be in different aspects of your life. When I started doing that, I began to realize how complicated and confusing love is as an emotion. 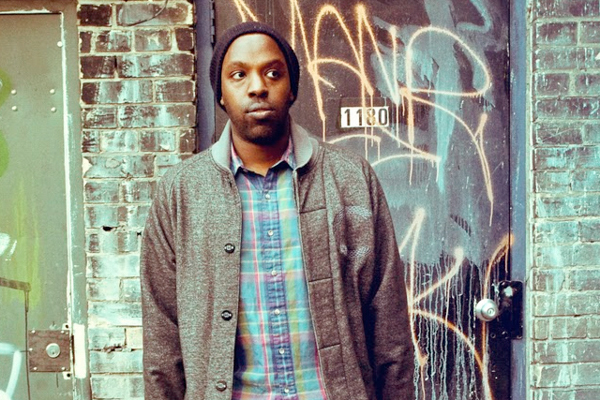 Canadian rapper Shad went through a similar exploration on a track called Love Means, which features a guest feature from Eternia, from his latest album Flying Colours. I picked out one of my favourite verses from the song to interpret and share with you, one that really resonates with my ongoing contemplation of love. Maybe it will help you with yours, too. Rappers tend to add in phrases or breaths to help them find their rhythm before they drop their verses or to ask listeners to lend their ears to their words. I think the latter was the original purpose of the “check it out yeah,” but it sounded more like an invitation to embark on a journey to take a look into what love means. Love is not a simple concept to define and it requires one to take a close look at it in order to understand it. Here, Shad shares his opening topic sentence, as the entire verse revolves around what he thinks love means. The general point here is that love is unwavering. It is endless. It is resilient. I particularly like when Shad says that “Love is grace,” as it can be interpreted in the context of elegance or even religion. Shad regularly alludes to his faith in his rhymes, and I think this may be one of the instances where he chose to do so quietly. In this sense, love is divine, but it is also all encompassing, a concept that he delves into in the lines that follow. When I was a teenager, I held a lot of straightforward views about love, which included all of the above definitions that Shad discusses. I think they are really prominent in North American society, where we are constantly being sold images on what love is supposed to look like and feel like through the media and entertainment. I understood the line “love is vain” as love being materialistic and self-absorbed, which it can be, especially in the current state of consumer culture. This culture often tells us that purchasing things, eating at expensive restaurants, taking selfies and updating social media posts is the best way to demonstrate your love and commitment. This way you can receive that external validation for your love. Although people have suggested for years that young people don’t know what true love is because they lack maturity and experience (hence “it’s just a game for the young ones on lovers lane”), this same doubt seems to be amplified in today’s culture. In the same vein, I think that it is easy for people to automatically call feelings of lust or attraction “love,” because we are taught to think of love as a chemical reaction and a natural feeling for human beings to encounter, as Shad suggests. I think this is especially true when we conceptualize conventional life paths, which usually includes school, work, relationships, and, eventually, marriage. In this sense, love gets normalized to the point where it should just be a typical aspect of an individual’s life, specifically in terms of romantic relationships. Love is contradicting. It can be secure, assured and protective, but it can also be unruly, unreasonable and hurtful. I think that Shad is extremely accurate when he says, “Love is dangerous as a dark street,” because one can never be sure who will grab you and how they will weave their way into your life. When you enter a dark street or love, it is difficult to navigate your way through since you may become blinded by the emotion and experience. You have to use your instincts to guide yourself into the unknown, especially when you are unsure of what obstacles may come your way. This is not a simple path. I think that there is something very powerful about the suggestions Shad makes in the lines “Still love isn’t violent, that said it’s nothing safe/ cuz it means standing up to hate.” I think we rarely give love as much credit as we do to hatred, since it often takes an insurmountable amount of strength and desire to make a stand against the bad in this world, in your relationships, and in your life. Sometimes when we use love as a reason to justify our behavior, we lose out. As Shad said in the previous section of this verse, love is not safe and can cause us to act and behave in a manner that has negative consequences. Shad acknowledges that, but he chooses to believe that love does more good by saving people. In the first line he again alludes to the close relationship between love and his faith, but given the flow of the rest of the verse, he probably meant to suggest that he has faith in the idea that love can triumph and do more good than harm. He believes that this concept, and even the definition of love itself, does not belong to a specific faith or individual, but exists and belongs to everyone. Here, Shad shares his hope for a day where love can be respected, appreciated and shared on a universal basis. Shad makes an optimistic conclusion for this verse. I interpreted the first line, “motherless above the grave,” as love being what nurtures us, and sometimes we feel like we do not have such a nurturing, unconditional presence in our lives. I really enjoy his suggestions about love as a product of death and new life. Sometimes we have to go through difficult experiences that take us to our lowest points in order to foster love. When we challenge ourselves to rise above our struggles, hatred and disappointment, we start to discover where love has always been and where it can evolve. We might be surprised by what we might see.